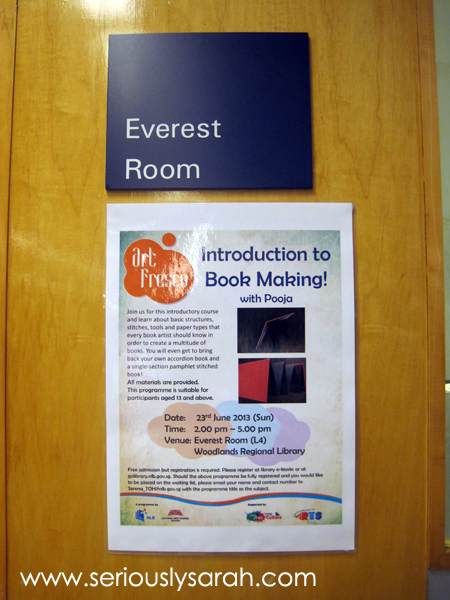 Last weekend I went to the Everest Room at the Woodlands library to go to their free Introduction to Book Making class with Pooja! It was, as I said, free and that the library got to have it there in Woodlands for a day. Limited seats were had but I managed to sign up once I knew about it since Pooja’s classes are always packed and you mustn’t hesitate in clicking yes. 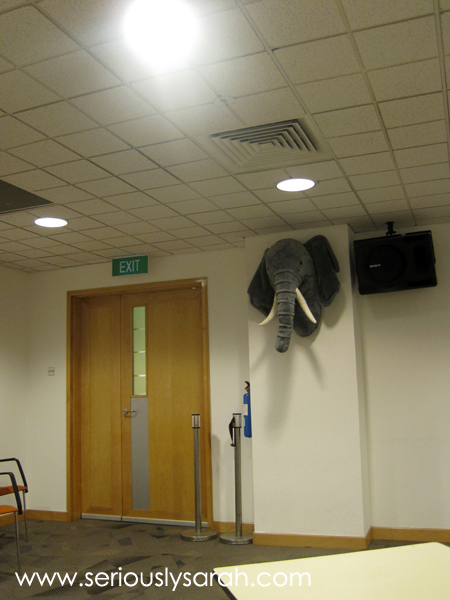 The Everest room had trophies of animals on the walls. They’re kinda like soft toy plushies by the way and it was pretty cool cause they had a lion and rhino too and they’re all squishy. As I expected, THE CLASS WAS FULL and I got to make two books! Pooja gave us a bonefolder and a needle for sewing books. Yay! Free bonefolder and needle. She also provided the paper and covers. I learned how to do the binding where you stitched it together with thread. She gave us alternative tips on what to use if we didn’t have special tools for bookbinding too so no worries if you don’t even have a bonefolder or special hole making things. 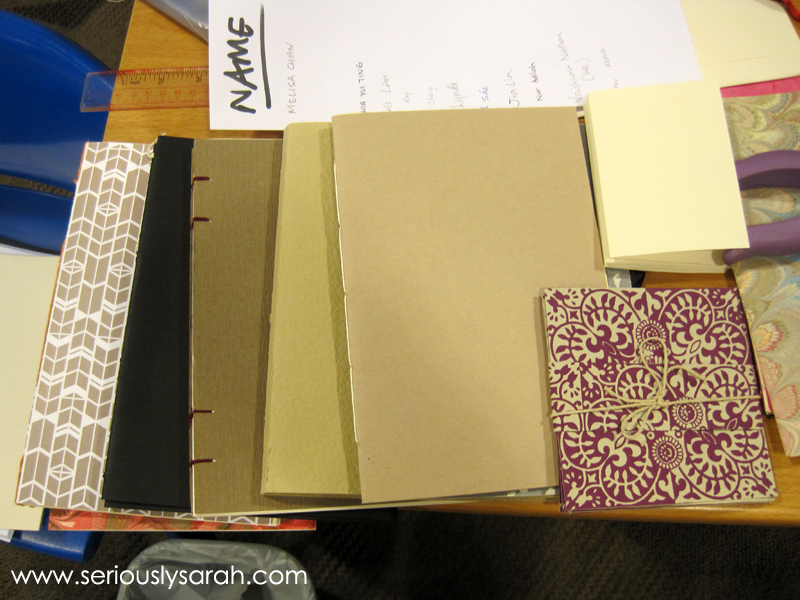 She showed some samples of other books she binded I like this since you could fold it out like an accordion. Other books Pooja made and taught. Since this was just an intro of book making, she only taught us two techniques for her other workshops at various places, she teaches other types. 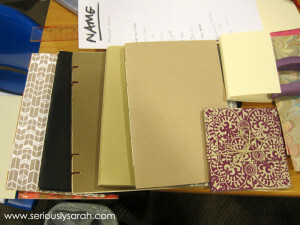 Overall, it was an enjoyable session because you could ask her how to make the books or what other ways would be easier when dealing with what sort of content your book would have and pretty much anything to do with book binding. 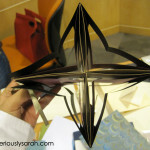 It was a rather relaxing time folding paper and punching holes through them. 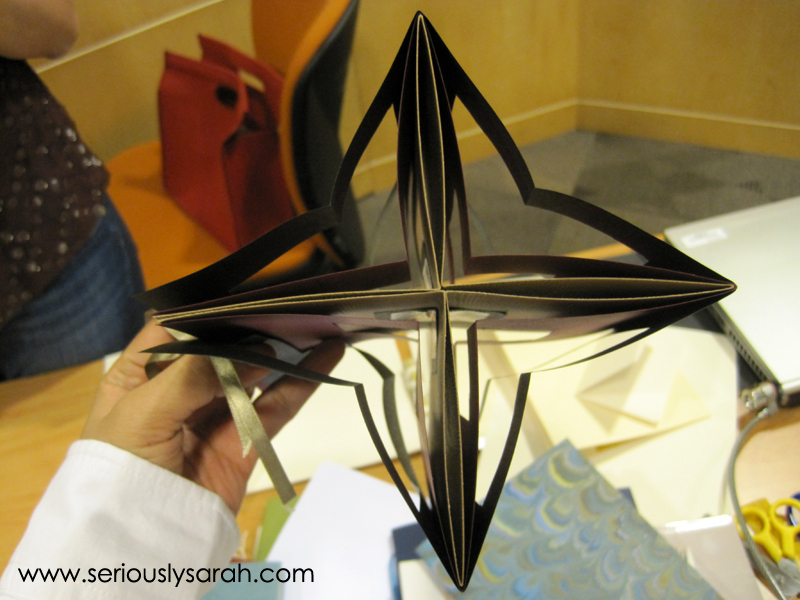 Plus, I folded the papers pretty neatly. THIS IS AMAZING for I fold papers well, not neatly. Check her website out at Notabilia to sign up for her newsletter or check out her blogposts on her upcoming courses. 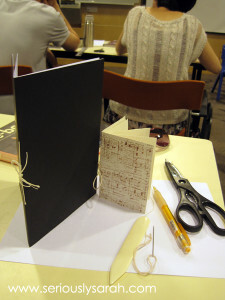 There’s a case bound book workshop which she is doing in August which costs around $75 and there are also the free ones at the library for other techniques coming soon too. Either way, she’ll post on her website on it so check it out there! Next Next post: Mini break!